What a busy year this has turned out to be both travel and work-wise. 2012 took me to 17 cities and seven countries; four of them completely new! I’ve continued to explore my home county of Sussex enjoying unusual festivals and the gorgeous countryside. I’ve eaten some delicious food but have to tip my hat to Italian cuisine this year which has been stunning and I’ve stayed in some wonderful and unusual hotels. Here’s what happened in 2012. We started 2012 on a high celebrating New Year Saigon style. This has to be one of the best New Years I’ve ever had and the first spent away from home. 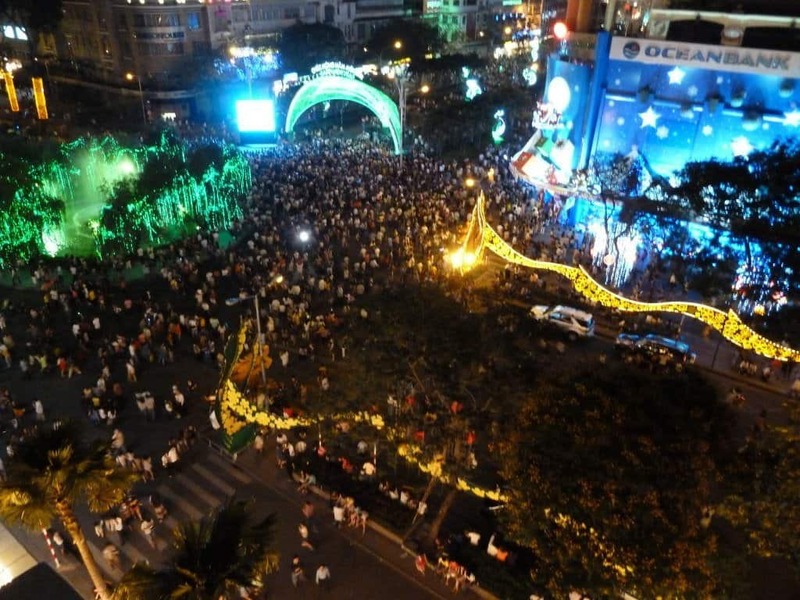 We watched the celebrations from the rooftop bar at the iconic Rex Hotel in Ho Chi Minh City before joining the crowds on the packed streets to see in 2012. A New Years Eve that I’ll never forget and Vietnam was an amazing way to start my travel year. We also spent time in Hanoi and Halong Bay but Hoi An is the place that stole a piece of my heart. Tenerife got a lot of Travelbunny love this year with four trips to the island, three for work but the first visit of the year was with my daughter. She was working for Tui had some concessions to use up and treated me to a week in the sunshine – what a lovely daughter I have! We mainly relaxed but did head out to La Gomera for a day which is a beautiful little island and especially lovely in the springtime. 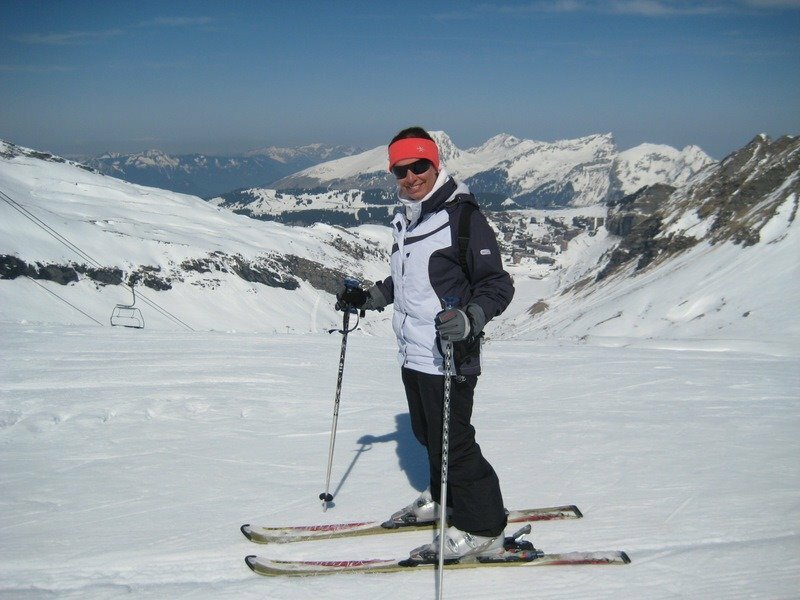 April arrived and time to pack up the car and head for Morzine in the French Alps, where we stay with friends every year, skiing in Avoriaz and the Porte du Soleil. We take all the food for the evening meals as we love to cook and after a day on the slopes there’s nothing better than spending time with friends, food and a glass or two of red next to a roaring fire. April also saw two days in Tallinn, my first ‘new country’ of the year. This was a work trip so I didn’t see as much of the town as I’d have liked but was surprised to find it had more of a Scandinavian feel than Eastern European. Note to self: ‘Go back. Explore’. Celebrations in April as I won round 39 of photo roulette with the theme Local Character. I went on to host round 40 with the theme ‘Street Scene’ and had a great time discovering lots of talented people, their blogs and photography. May and another new destination for me; Paphos in Cyprus. I spent a week working with a colleague on a conference we’d organised for 300 people. Unfortunately we only got out of the hotel on one evening for a meal and I probably shouldn’t count this a new destination as I didn’t actually see any of it – and people think I’m on holiday all the time…! Another place to re-visit. 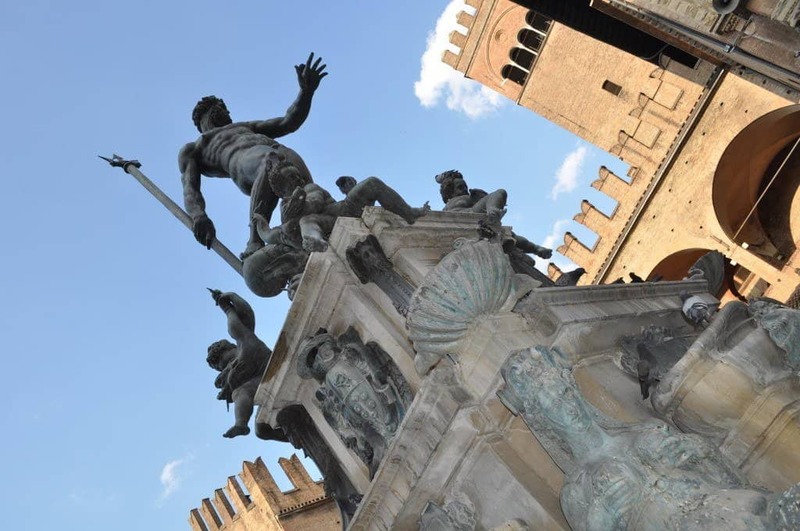 June puts in an appearance and with it a whole heap of excitement – my first trip to Italy! I can’t believe it’s taken so long to get there and I have totally fallen in love with this country, its people and that amazing Italian food. 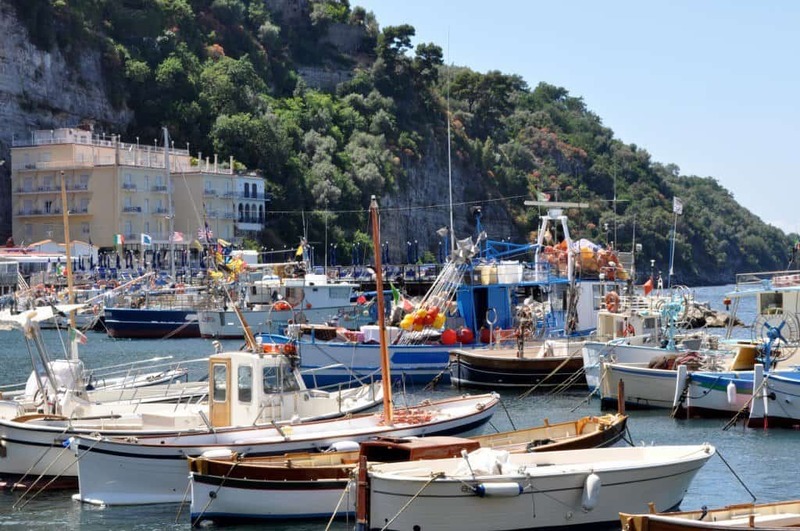 We based ourselves in Sorrento visiting the fascinating city of Pompeii and taking the famous Amalfi Coast road down to Amalfi itself. I’m heading back to Sorrento next year for some serious gelato research. June also saw the Queen’s Diamond Jubilee in all its jubiliciousness and we were lucky to celebrate without getting rained on. I also met the Queen for the first time at Royal Ascot – well she rode past in a carriage but she did wave at me! Next up July and with it Blogville and back to Italy. I met up with fellow-blogger Kathryn from Travel with Kat and we discovered Bologna, food capital of Italy, Rimini and Ferrara together. We had a fabulous time and it was wonderful to explore with someone who quite understood the need to stop and photograph every sight, building and morsel of food that we encountered! I like to spend August at home because there’s nowhere better than England in the summertime, however, summer didn’t seem to arrive this year but that was okay because we were kept busy as London hit the spotlight and we cheered on our sporting heroes. I didn’t get to the games but did see the Olympic torch both in Battle and Bexhill where Eddie Izzard held the flame aloft. September took us to Turkey, the final ‘new country’ of the year and a holiday. We started off in Cappadocia where we stayed in a Fairy Chimney, the most unusual hotel stay ever! We then travelled by bus to Pamukkale, had beach time in Bodrum and finished off our trip in Istanbul. The highlight had to be our dawn hot air balloon trip in Cappadocia – in fact that is one of my highlights of the year. In September Easyjet awarded me ‘Blogger of the Month’. Wow what a month! The rest of the year has been busy around work with two trips to Tenerife in November and December. 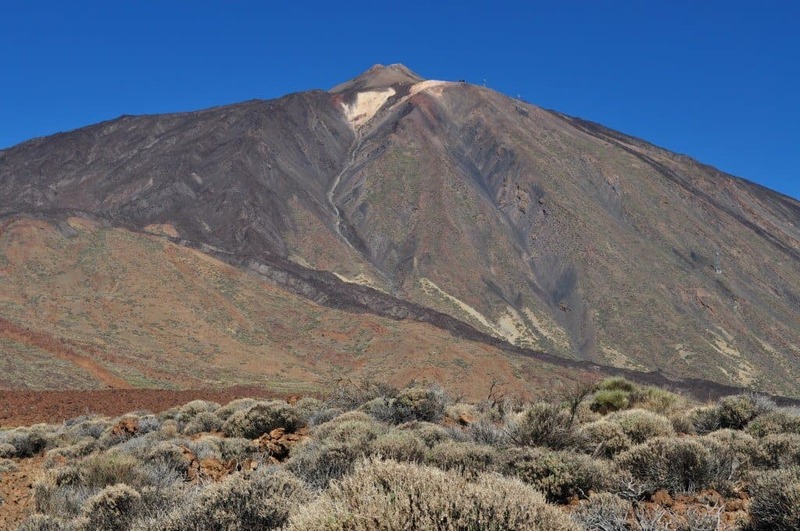 This time, although I was working, I managed to get to Teide National Park for a morning which was stunning. On one of the trips we stayed at the amazing Abama Hotel, a Ritz Carlton property which was an experience in itself! This year also saw lots of awards from my fellow bloggers and I now have a ‘fit to burst’ virtual awards cabinet and a big fat grin across my face. These awards are a fabulous way to learn about other blogs and I’ve been introduced to some very talented bloggers this way from the world over. So thank you all for stopping by, liking and commenting on my travel tales, it means so much to me that you take time to do so. Remember too, if you’d like any advice or tips on any of the destinations I’ve visited just drop me a line – I’m more than happy to help out if I can. So that was 2012 – but what of future travel? Not a lot booked at the moment but that’s how January 2012 started off so who knows where I’ll be travelling to next year, wherever it is I hope you’ll join me on the journey. That was some year! I look forward to reading about your 2013 adventures. Thank you so much for wonderful pictures.View over Tallinn this picture remains me many years ago when was the Soviet Union. 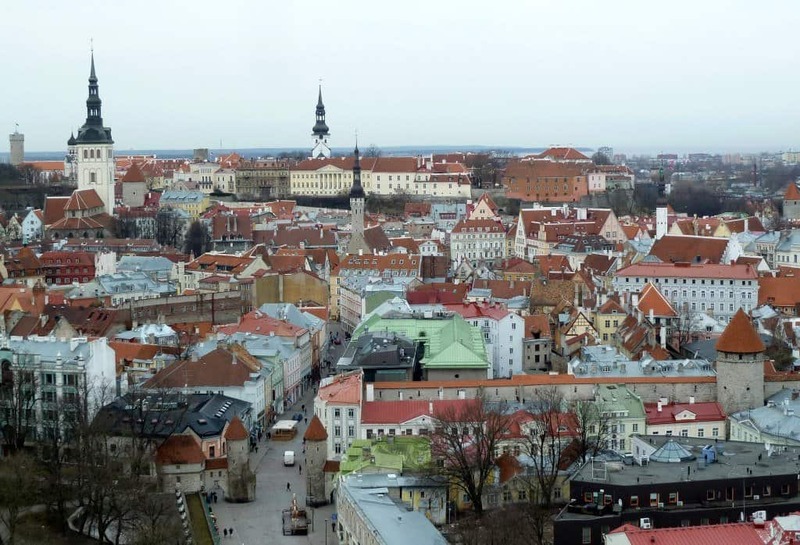 I lived in Tallinn about 5 years.I missing a lot’s city of Tallinn. It was a good memories about Tallinn-Estonia.Happy New Year! So glad this brought back good memories of a beautiful city. We also saw the Tallinn Song Festival Stadium – did you ever go there to sing? I’ll have to post more pictures of Tallinn especially for you! 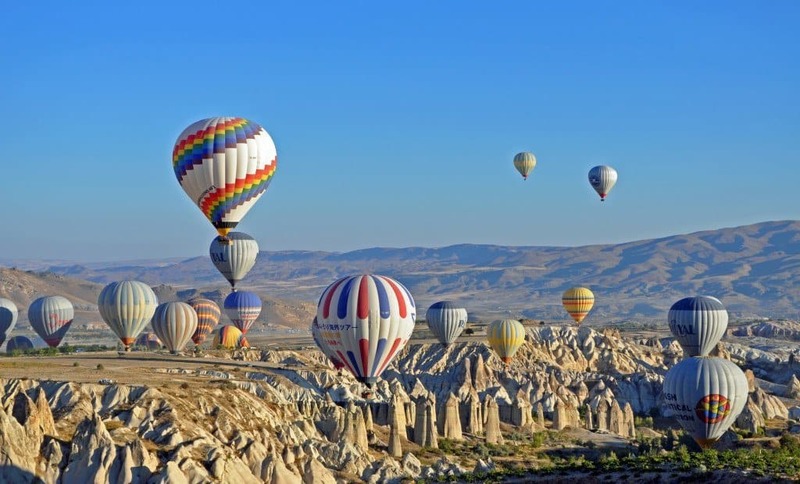 I would love to go to Cappadocia. It looks amazing. You must go – you won’t be disappointed! Freshly Pressed this week featured a writer whose husband “surprised her” with a trip to Bhutan. I’ve been depressed ever since. She says he’s not for swaps and Michael just looked at me with a “what?” expression on his face. Think you might end up somewhere surprising for New Year? Congrats on a great year, Suze. Thanks Jo – Bob doesn’t really do surprises either! It’ll be down the local NYE I think…. It’s been a lovely year Jo – hope next year is as good for both of us. The Cappadocia photo couldn’t be more Cappadocian! The Hoodoos on the background are like a fingerprint shouting “this is Cappadocia”. Great list! You had an amazing 2012, what are you 2013 plans? Thank you – annual pilgrimage to the slopes of Avoriaz, a trip back to Sorrento and a day in Paris but hoping to book some more trips. Wish I could have joined you on some other trips too! You were the perfect travel companion. Here’s hoping we have another shared adventure or two in 2013.